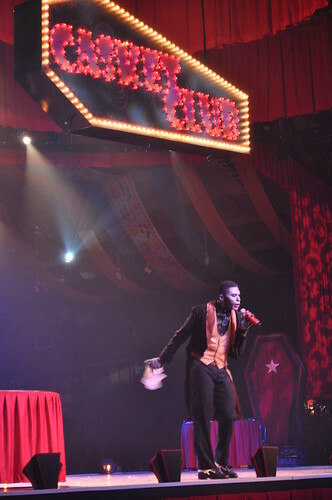 October 2, 2015, 9:09 PM · Busch Gardens Williamsburg has once again launched its annual Howl-O-Scream event, and with three brand new mazes, the park has once again upped the ante. This year's event features five scare zones (or Terror-tories as the park calls them), seven mazes, and three live shows to entertain and startle guests every Friday through Sunday from now until November 1st. As Howl-O-Scream continues to grow, one can't help but wonder if the park will eventually make the event a separately ticketed event like its sister park in Tampa. However, for yet another year, admission to Howl-O-Scream is included with a standard park admission or most annual passes. As a member of the Busch Gardens "Thrill Chasers" and representing Theme Park Insider, I was invited to a media preview of this year's event. 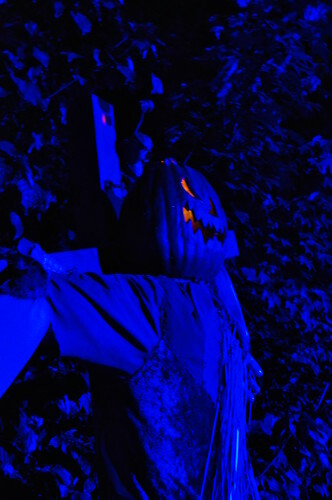 Frequent visitors will recognize the five returning scare zones, Vampire Point in Octoberfest, Wendingo Woods in New France, Ripper Row in England, Ports of Skull in Italy, and Demon Street in France. 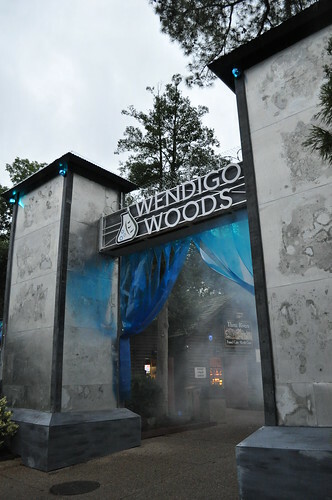 Wendingo Woods appears to have been tweaked a bit from last year when I felt that the actors were unsure of what to do in the area, and now have more defined characters and actions within the scare zone. The result is a much more effective space that that is now one of the better scare zones in the park. The other scare zones are very much what you would expect with roaming actors and characters lurking behind blind corners, the but costuming and themes are more in line with Universal's Halloween Horror Nights than what most Cedar Fair and Six Flags parks offer. The three shows, Monster Stomp on River Row, Night Beats, and Fiends, return familiar acts for guests looking for a chance to sit down between the mazes and scare zones. I actually had an opportunity to watch Night Beats in the Festhaus for the first time in a number of years, and the show featuring a live band and cast singing and dancing to familiar pop tunes was quite good. Even on the first night of the event, the cast had great chemistry. However, the class of the shows is still Monster Stomp on Ripper Row, where percussionists wow the audience with amazing beats and choreography with sticks, bones, knives, and more. As always, Monster Stomp is not to be missed. Four of this year's mazes return from last year, including Deadline, Cutthroat Cove, Catacombs, and Bitten. Deadline, inside the Escape from Pompeii show building, is still one of my favorites, themed around an Italian subway taken over by the undead. Bitten also features one of my favorite maze endings as you are forced to walk through sand-lined floors, which adds a psychological scare, making you think you cannot escape as quickly as necessary to avoid the vampires within. This year's newest mazes represent one of the biggest turnovers in the history of Howl-O-Scream, and all three are well done. 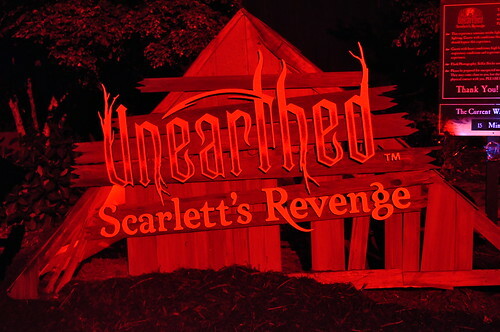 Unearthed – Scarlett's Revenge features the icon of this year's event - a woman who looks like a scarier, sexier version of Angelina Jolie's Maleficent. This maze takes over the Europe in the Air queue, pre-show, backstage, and show rooms where Thirteen used to reside. I do miss the previous maze themed around common phobias, but I expect this maze will improve with time. The park arranged to video my trip through the new maze, so let's take a quick look. LumberHack is another new maze for this year, located behind Bitten in the woods near Festhaus Park, and featuring one of the longest queues you can imagine. However, all that walking pays off with a well themed outdoor haunt that will definitely get better with time. 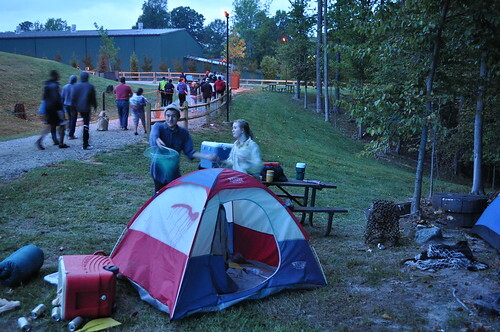 The maze is themed around a camping trip gone awry where guests are attacked by terrifying lumberjacks with some great set pieces. 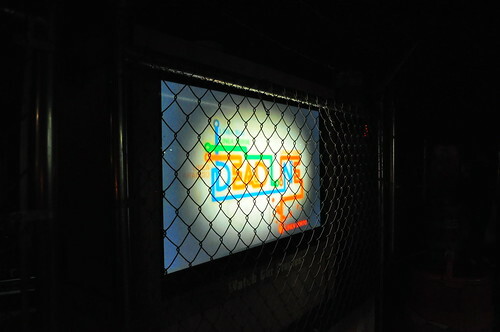 The best new maze, and quite possible one of my favorite mazes of all time (including HHN) is Cornered. This maze takes over the space formerly occupied by Root of All Evil behind the Curse of DarKastle show building. 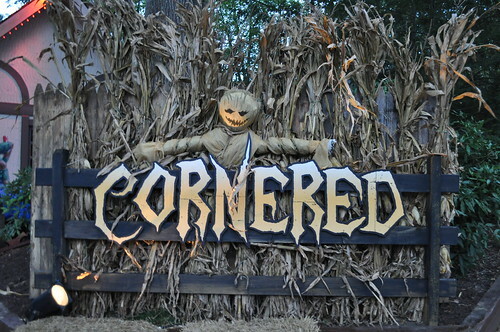 Cornered looks like it might be a standard corn stalk maze, but it is so much more, with one of the best executed old-school mirror mazes I've ever been through and a free-form ending scene that reminded me of last year's Walking Dead maze at Orlando's HHN. If you have to pick just one maze to experience at this year's Howl-O-Scream, Cornered is the one to choose. 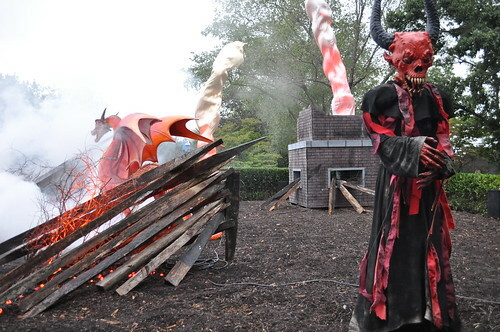 With three new mazes and lots of returning favorites, Busch Gardens Williamsburg once again hits the mark with one of the premier Halloween events in the Mid-Atlantic. October 5, 2015 at 6:31 AM · Thanks for the great article. As Busch Gardens Williamsburg pass members, we go to the park several times a year, but Howl-O-Scream is my favorite. Looking forward to the new mazes.